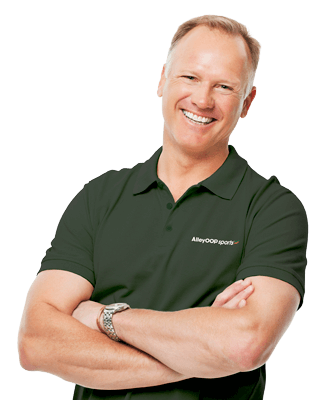 We have dealers throughout the country who primarily stock AlleyOOP Sports Trampolines. 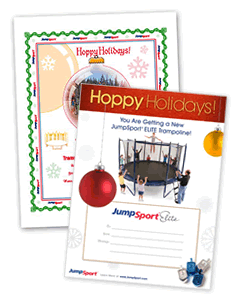 Some dealers also carry JumpSport and JumpSport Elite products. Contact a dealer in your area directly for product availability. The estimates below are the average number of business days for delivery by UPS. Special shipping must be arranged for orders going to Hawaii and Alaska. • Orders must be placed by 6:00pm EST to qualify for these estimates. We ship from warehouses in Virginia and California. AlleyOOP and Elite products may ship from our Texas warehouse. 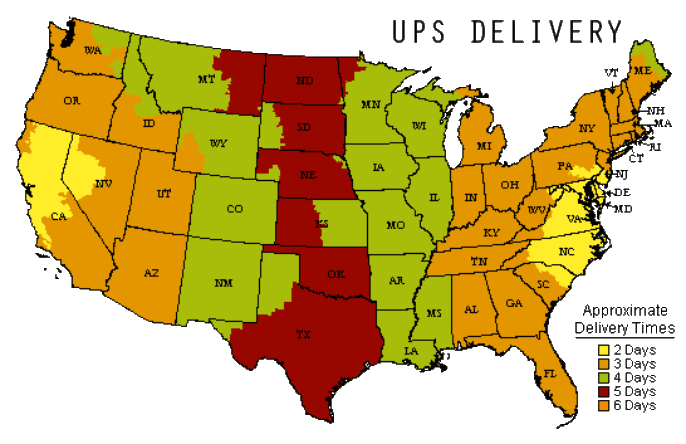 Check your UPS tracking email and use the map below to determine the number of days to ship to you. These models are shipped via freight truck and take 3-10+ business days to arrive to most states depending upon proximity to nearest warehouse. Customer shipping address must allow for a large truck and will be curbside delivery. The following products are only stocked in our California warehouse, causing East Coast shipments to take longer. 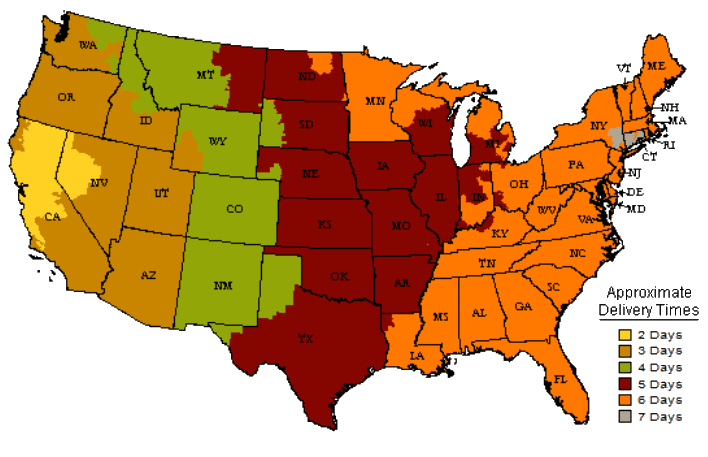 Use the map below to determine the number of days to ship to you.